The big dilemma! Wet or Dry clean! I have used both over the years and without hesitation steam (wet) cleaning will give a far superior clean. However we do offer an alternative in the world renown SEBO, duo P dry cleaning system. This system, although inferior to a wet or steam cleaning process can be very effective in certain applications. Some consumers (hotels,offices,etc) may require an instant drying time. The duo p is probally the best alternative in these instances. Machines used are imported from Germany. Although steam cleaning is generally the preffered method of cleaning, at times certain applications require dry cleaning. To ensure we maintain the highest quality of workmanship only the most effective system is used. This is called the Dua P dry cleaning system. Machines used are imported from United Kingdom and U.S.A.We use the Prochem, Steampro 2000 carpet cleaning machine . As well as the U.S.A. made Ninja and Hydromaster machines. One of the biggest problem when steam cleaning carpets is the drying time. To speed up drying process three important factors need to be considered. 1) Quality performance of recovery vacuums of cleaning machines. 2) Quality of chemicals used to avoid excessive rinsing when removing dirt. 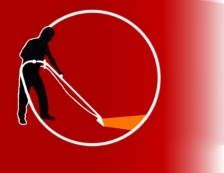 3) Use of air movement to aid drying of carpets/upholstery. We have taken into consideration to all of these factors and can reassure the consumer that optimun drying time will be achieved. In most cases, a 4hr drying time is achieved. Carpets and upholstery are first pre vacuumed and then treated with a general traffic lane pre-spray which will loosen the majority of the soiling. They are then rinsed with a neutralising chemical which neutralisers the higher PH or ‘stickiness’ of the pre-spray. At the same time a powerful dual 3 stage vacuum system is used to lift the dirt from carpet and upholstery. All chemicals used are wool safe and formulated to leave the carpets at the correct, neutral P.H. Any stubborn stains are given extra attention and removal attempted by using the most suitable solvent or water based chemical. Majority of carpets dry within 3-4 hours. Whether it be an Oriental, Persian, Turkish, Afghan, New Zealand lambs wool rug or any other type or origin they are very valuable commodities. Not to mention the sentimental or antique attributes of some. The outcomes of incorrect cleaning canbe disastrous. Colour run, pile distortion, shrinkage to name some. Our cleaning techniques are specific to the type of rug. That rug left up in the attic for the last 10yrs because it is so filthy. Allow us to have the privilege to clean it for you. The results are in, some cases, unbelievable. Wood floor sanding can be very expensive. R100 per sqm. Is there an alternative. Yes there is. If your wooden floors are looking a bit weathered and scratched. Why not clean and polish them. It's a fraction of the cost. Only R15per sqm. And it applies a UV and minor scratch resistance seal. Your floor that once looked lacklustre will have a beautiful new restored satin look about it. It works. How do you think school halls last so long. This is how. Stripping and re-sealing of tiled floors. Over the years a build up polish residue can trap dirt within the layers of polish. Every time you polish a floor what happens to the dirt? 90% of it mops up and is dispensed of, but the rest ’blends’ in with the polish. Leaving, over time a gradually dirtier floor. We remove those layers of polish and apply new coats as required. Contact Brett for free quote. Whether it be a small domestic incident or large scale disaster, King of Clean offers a comprehensive service from initial inspection and damage reports (for insurance purposes), clean up and regular monitor visits until completion of drying process. Extraction of all standing water. Installation of drying equipment if required. Full moisture survey of affected buildings and contents. Full report of water damage and moisture mapping for insurance purposes. Cleaning of all contents on site. Full report of fire damage for insurance purposes.